The time has come, and your company has started to outgrow the sales and customer success process-management using plain old excel. First of all, congrats! it probably means you have enough customers to worry about. While Excel is an amazing tool, and with server-controlled APIs like the ones available on Google Spreadsheets, it can be a really powerful platform, it still lacks a few fundamental capabilities you may require from a CRM system. While you could build charts over your excel data to make sure every team member can see the big picture, this requires quite a lot of work. Excel isn’t a fully fledged database system like SQL server, which means creating dashboards with complex queries isn’t straightforward and requires excel-expertise. Setting up rules, for example, forbidding a status update after a certain quota is exceeded, is not easy as well. Without automatic rules safe-guarding the team, it’s easy to make mistakes, and hard to avoid potentially nasty situations. Nothing beats a good excel document when you can manage everything with just 2 or 3 sheets. But when the number of sheets becomes large, it could become quite a maze to navigate between them. For example, if you need to update series of events, switching between sheets is not as natural as a windowed-drill-down interface. 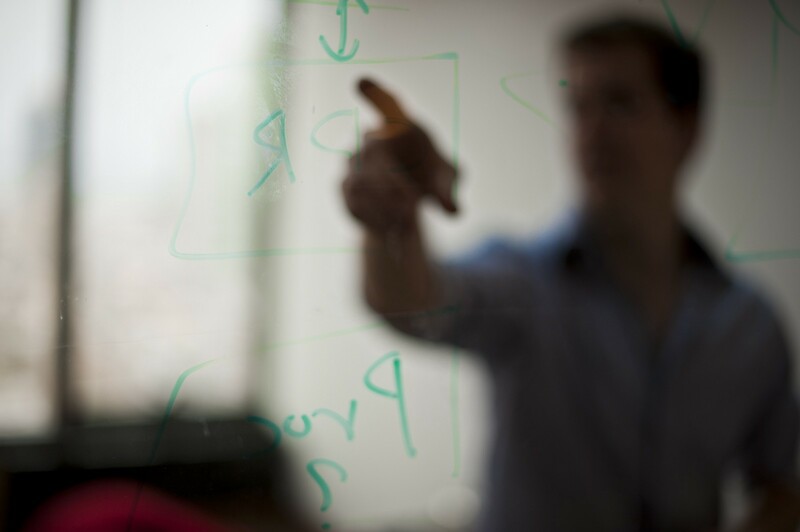 As a team, we’ve had quite a lot of experience in both implementing and working with CRM systems. In one of my first technical roles, I spent about 4 years developing CRM systems in various environments — from military equipment management and sales at the IDF to banking, mortgage and general financial market CRMs. We were never quite happy with any of the CRM solutions we worked with, specifically Salesforce and Microsoft Dynamics CRM. In both cases, we witnessed companies spending millions of dollars on implementing projects that sometimes ended up failing after a few years of hard integration work. 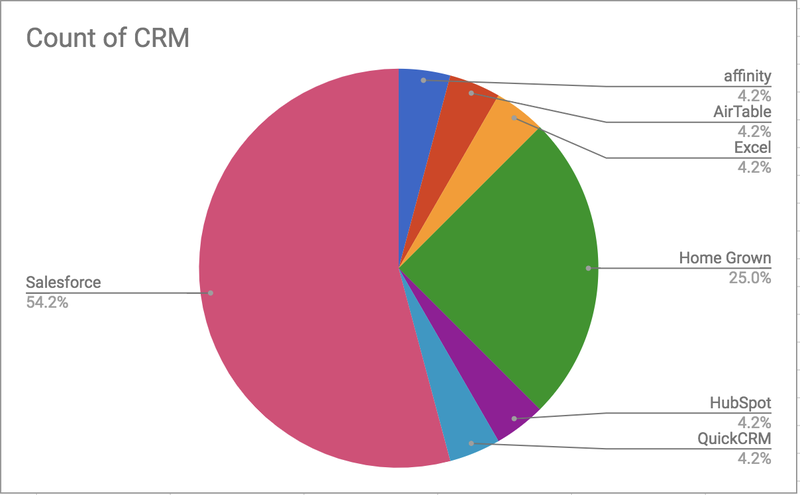 Therefore when we set out to choose a CRM system for Skyline AI, we felt it was time to interview some market leaders from the tech industry from a big variety of companies — VCs, SaaS startups, Enterprise organizations and more. 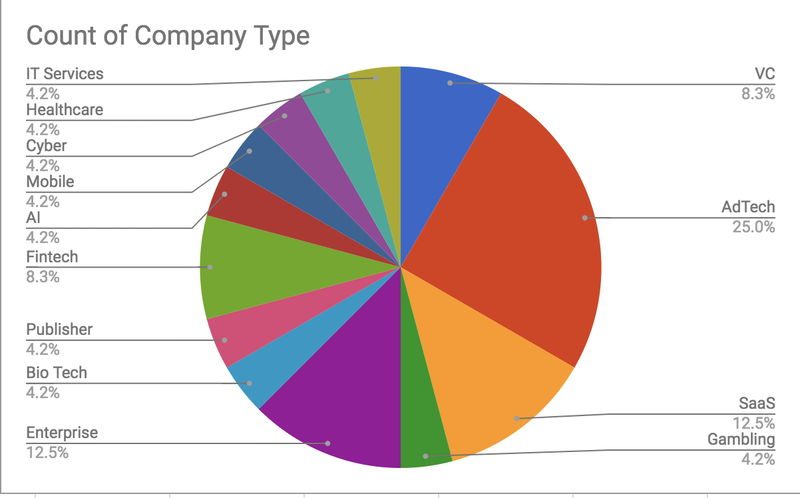 We personally interviewed the CRM leads in all of these organizations, asking them what they have been using and wether they would recommend it or not. We interviewed about a hundred companies in the Israeli tech scene. Some of the companies were Israeli, some US companies with R&D offices in Israel. As you can see, it’s quite varied — publishers, bio tech, enterprise, SaaS, gambling, VC, etc. 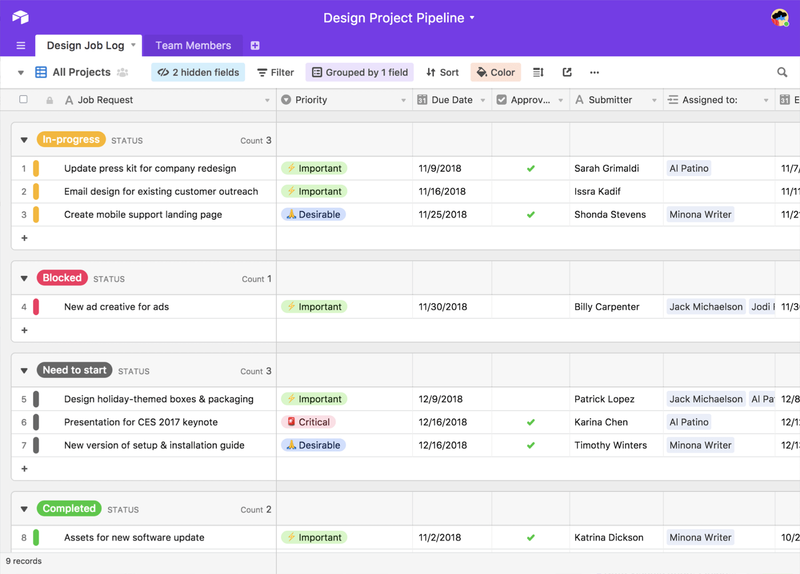 It looks like something really good is happening with Airtable. It received warm recommendations and it appears people really liked the product. Definitely worth checking out if you feel like you have outgrown excel on one hand but don’t want to implement a heavy duty platform like Salesforce on the other hand. More than half of the participants said they were using Salesforce, but no one was happy with their choice — at least not to the point they would recommend it to their friend. Salesforce is hated by it’s users — the SalesOps people. They dislike the UI/UX and it can be a challenge to “force” them to keep the CRM up-to-date. 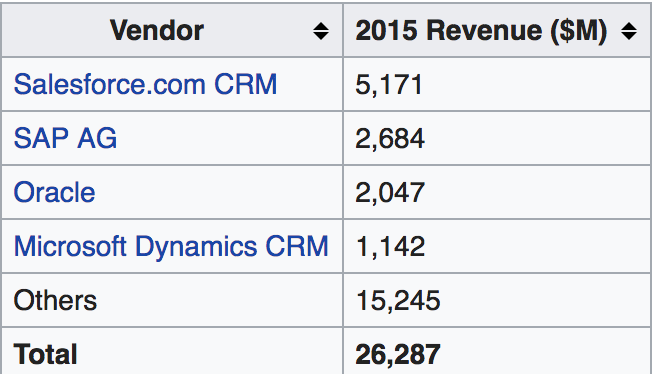 Looks like there is still quite a gap in the CRM market, where the popular solutions are hated by their users, and a lot of companies turn to spending engineering resources on building their own solutions to best fit their needs. There’s probably not a one size fits all. If your company has the budget and resources to outsource an expensive CRM implementation project without having to worry about this project taking to much management attention, perhaps one of the big ones (Salesforce, Microsoft Dynamics CRM, etc.) is for you. Otherwise it looks like you may want to consider a product like Airtable or even developing your own CRM. The basic needs from a CRM system are really easy to self develop these days in languages like golang, and using serverless infrastructure such as AWS Lambda you could probably get a CRM of your own up and running within two to three weeks of development.